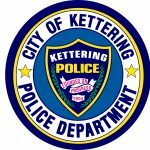 The Kettering Police Chaplaincy Program became an official part of Kettering’s history on January 2, 1991. The chaplains serve the uniformed and non-uniformed police personnel and act as a resource to the community. The chaplaincy program is staffed by dedicated chaplains who respond when the department or community has a need for a chaplain. These dedicated volunteer chaplains respond on a rotating monthly schedule. Each chaplain is expected to have contact hours with the officers of the police department. Such contact can be during roll calls, ride alongs, and general visits at the police department. Each chaplain turns in an activity sheet to the Chaplain Coordinator when they have responded to call. The Chaplain Coordinator reports chaplain activity to the Operations Captain. The department supports this program by providing training through the International Conference of Police Chaplains. Chaplains are provided a badge, shirt, and coat that identify them as Kettering Police Department Chaplains. We appreciate the chaplains who volunteer their time and effort to this department and the community. Additional information can be obtained through the chaplain coordinator, Lt. Craig Moore at (937) 296-2555.